2.25 lb Dayton axe head outfitted with a 28" curved hickory handle. 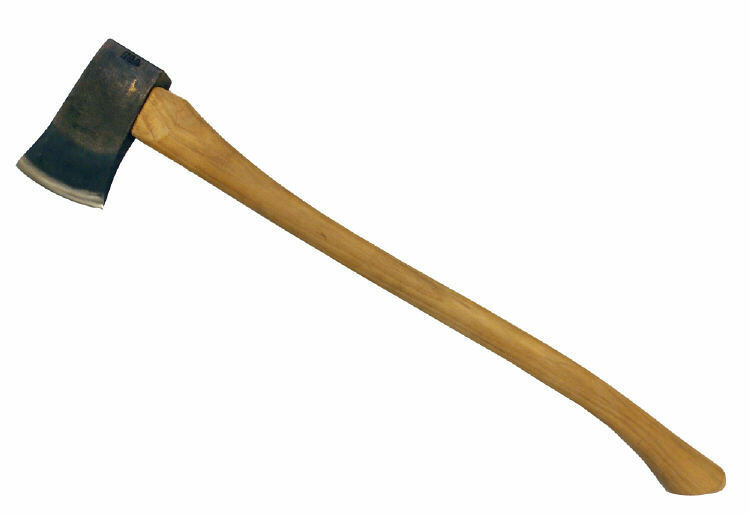 Popularly referred to as a "boy's" axe. A "mid" sized tool. Hand sharpened, tapered bit for cutting and light splitting. Body coated with red enamel and the cutting edge in clear lacquer to deter rust. This is a very well built and high quality ax.